DRI Named NorthCoast 99 Winner 2012! - Direct Recruiters Inc. Direct Recruiters is proud to announce that once again we have been named as a NorthCoast 99 Winner! 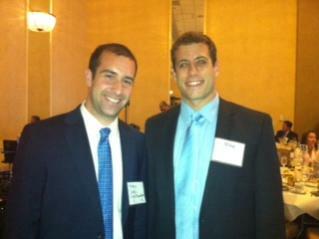 In Photo: Mike Silverstein & Andrew Doris, DRI Healthcare IT Practice, at NorthCoast 99 Banquet.